CHECK OUT THE NEW ALBUM "CINCO DE MACHO" BY CLICKING ON THE ALBUM BELOW!!!!!!!! Thanks to all of our wonderful fans who have fully funded our next album through kickstarter!!! 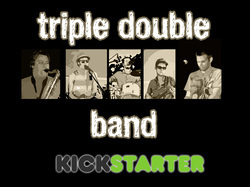 Triple Double Band is now set to record album #5. Thanks for the overwhelming support!!!! 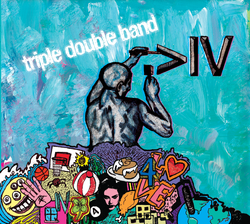 triple double band's album >IV is out now!!!!!!!!!!!!!!!!! The most recent album >IV was released on May 25th, 2012. Listen to hit songs like "step a little closer," by clicking on the album picture to the left. Enjoy!! This is the official website. Thank you for stopping by to check us out. We hope you get a chance to listen to some music, check out some pictures and maybe read about us to learn something new. We would also love to see you at an upcoming show. This is also the place to get the latest news and official Triple Double Band merchandise. CLICK HERE TO VIEW OUR PRESS KIT!